, and it used to be listed on eBay, but is now out of stock. 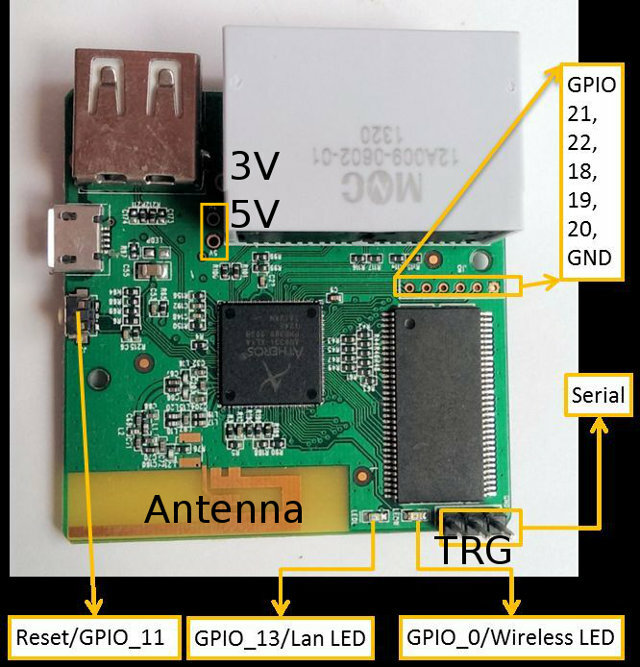 Expansion – 6 GPIOs, 5V, 3.3V, and GND. The device is also said to support USB webcams (MJPG or YUV), and USB mass storage with FAT32, EXFAT, EXT-2/3/4, and NTFS file systems using the stock firmware. There are also Android and iOS apps to manage the router. 6416A router, and its little brother, 6408A, with 8 MB flash, are now part of mainline OpenWRT. 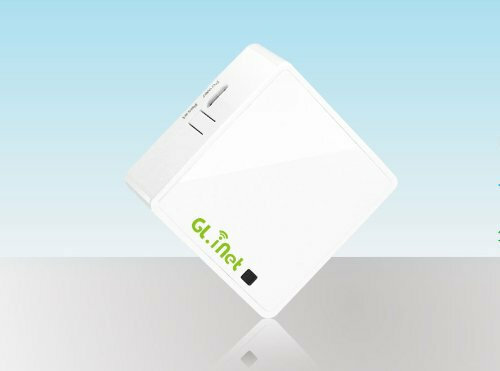 You can also follow news and access short tutorials for the board on GL.iNet website, and check out the product page. Do any of these modules (asiarf, tplink, etc) encourage the use of their modules as a development platform? The product pages usually look like they’re geared to consumer users only.. not necessarily to diy’ers… I want to support any company that supplies the schematics, software toolchain instructions, forum community, etc! See carambola 2 from 8devices. I’ve been using this for several months (I purchased off the ebay store.). It is a great little device.But my familarity with OpenWRT is minimal, so I havent hacked it yet. Wht I’d love to get working is a usb dvb-t tv tuner dingle over wifi. If anyone knows where to start on this, that would be great. Basically, Yun Shield + Leonardo equally to the official Arduino Yun, that cost USD $74.95(adafruit).